The best guitar shop in South Florida! For over the last several years our Guitar service has remained a hidden secret nestled in the heart of the Tampa Bay community. 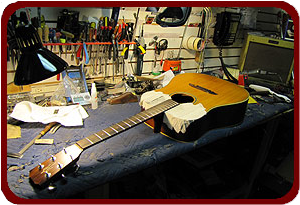 It's been the location where guitar aficionados chose to bring their collectables and modern guitars for guitar maintenance, guitar set up, repairs and/or modifications. No longer a secret! We've decided to give our customers a site to go to so we can better communicate and serve the Tampa Bay area. Why? You can't beat our prices and comprehensive experience. Taking care of your instrument is of up most concern to us. We will do what ever it takes to get the job done and the job is never done until you are totally satisfied with our work. 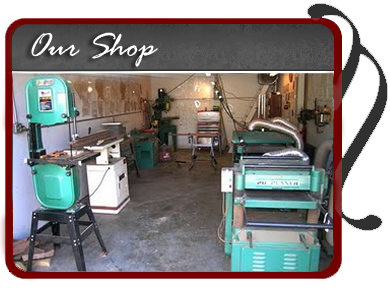 To see what's going on in the shop, visit our GRTB Blog! In addition to our guitar repair business we are rolling out a new line of guitars which will exclusively feature woods that are indigenous to Florida. If you are interested in a Crackercaster guitar see details for more information!